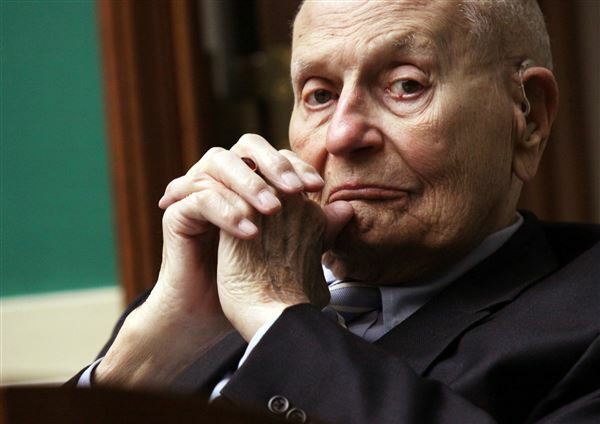 I predict that after a certain amount of time has passed that some congressional critics are going to suggest that the late John Dingell was the embodiment of the need to impose limits on the terms of members of Congress. I would argue that John Dingell embodied instead the best argument against such a restriction. Dingell, a Democrat, served his Michigan congressional district for 59 years, the longest continual service in the history of the House of Representatives. He succeeded his father, who died in office. When he left office, Dingell turned it over to his wife, Debbie, who’s in the office at this moment. Dingell served alongside every president from Dwight Eisenhower to Barack Obama. What is most remarkable about Dingell is that he accomplished so much while serving in the House. He was far from just a placeholder, a backbench bomb-thrower. He was a former board member of the National Rifle Association, he helped champion environmental legislation, he was a friend of labor, he sought to elevate government oversight in Congress, he supported civil rights legislation and turned against the Vietnam War in 1971. What we need to understand about Dingell’s nearly six decades in the House is that the voters who kept re-electing him were satisfied with the representation he gave them. Had he run off the rails at any time during his lengthy time in the House voters would have taken matters into their own hands. They would have booted him out. They chose instead to keep John Dingell on the job. Therefore, I stand by the assertion that Rep. Dingell is a testament against a foolish and unnecessary restriction on members of Congress. Previous PostWorld War I, Vietnam: chilling symmetryNext PostPlease, Mr. POTUS, no shutdown . . . again!